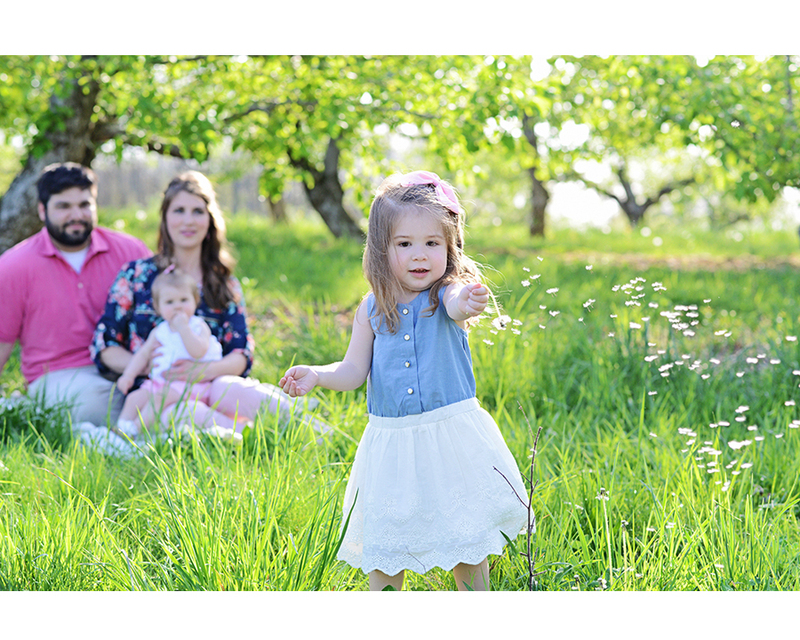 As promised…The Pegan Family’s spring portraits. I posted Addison’s 1 year pictures last week. They turned out beautifully and I thought it would be hard to top some of those candid moments, but we did! These are some of my favorite family portraits with young kids to date! They turned out absolutely stunning. What a beautiful family, stunning location, and perfect day. Miranda did an excellent job with outfit selections which brought everything together for this family portrait session. I must admit I got snap happy and I will apologize to Miranda, because now she has a ton of proofs to decide from. Here are some of my favorites, but you have to take a look at all the proofs from the Pegan Family Session.